A warm welcome to Godfrey Watson who is joining us as an instructor. 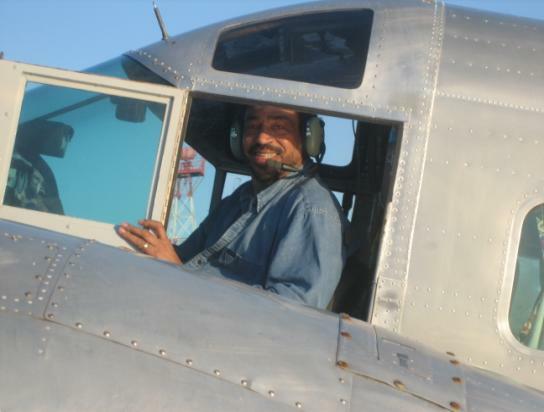 Godfrey has been flying taildraggers for many years and was one of the very few people Amelia Reid would let fly even if they missed their 30 day tailwheel currency. Godfrey has airplane single and multi engine land and sea on his Commercial Pilot license and he is a Certified Flight Instructor, Instrument Instructor, Advanced Ground Instructor and Instrument Ground Instructor. We are delighted that Godfrey has joined us! We are installing the new Garmin GTN 650 touch screen WAAS IFR GPS in Cessna 485, and we plan to install them in our other GPS challenged Cessnas over time. The first unit has arrived, we re just waiting for the CDI display and the shop slot. Hopefully 98485 will be done before the start of May. What is the GTN 650? It is Garmin’s replacement for the GNS430W. No more twiddling knobs, everything is accessed from the touch screen! Full WAAS capability including LPV and GPS approaches as well as all the usual ILS/VOR and communications capabilities. 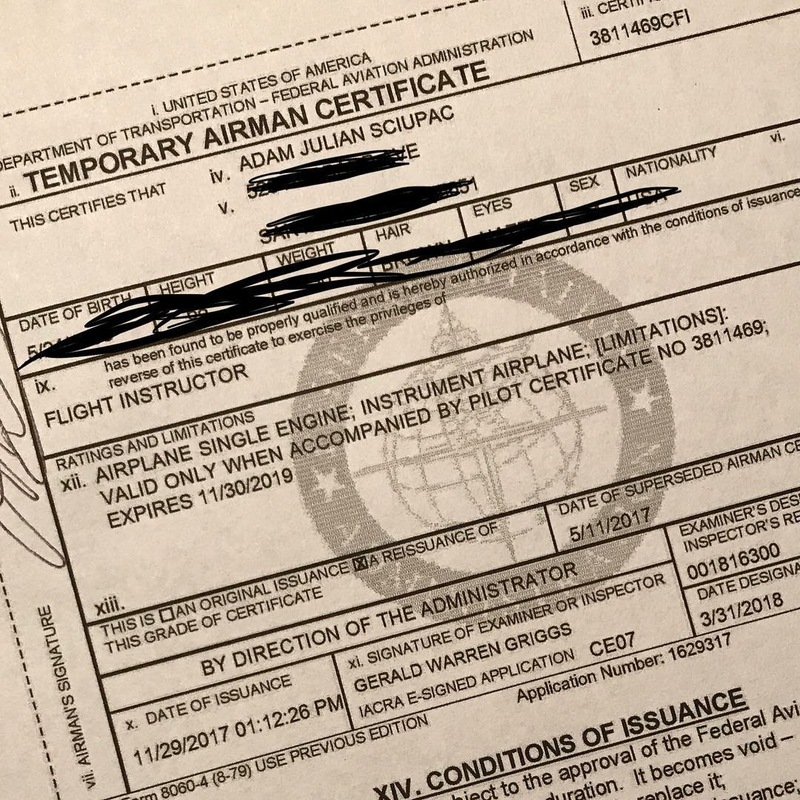 So instrument students and instrument rated pilots will not be limited to airports that have an ILS or VOR approach, but virtually any local airport will be open to them. Of course, VFR pilots can use it too. Here’s a link to the Garmin manuals download page. Here’s a link to Garmin’s training center videos. I am looking forward to trying it out! 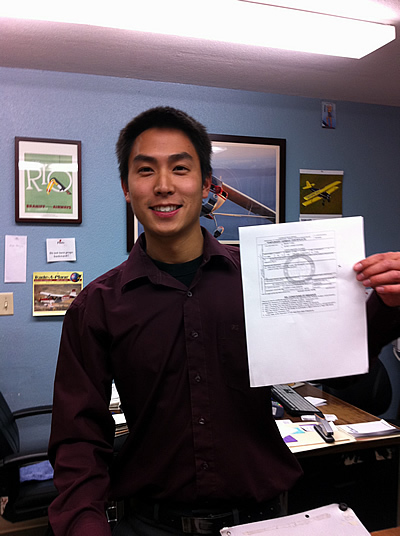 Congratulations to our own Brian Hsu who aced his instrument rating checkride. 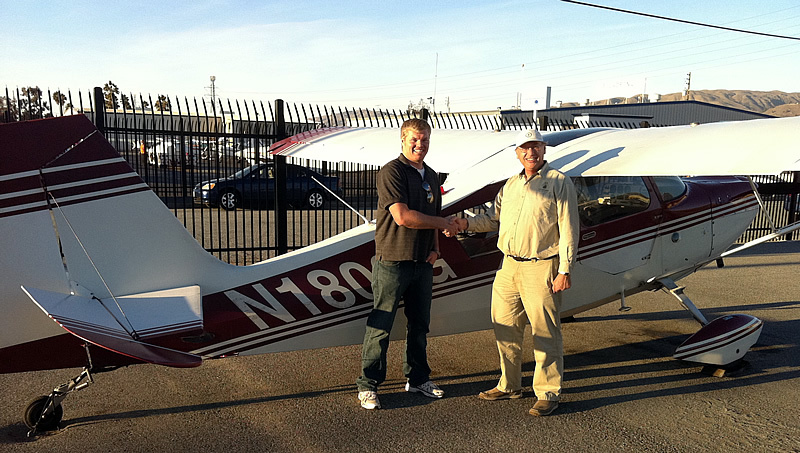 Brian had previously started on the checkride, and had to turn back because of airplane problems. 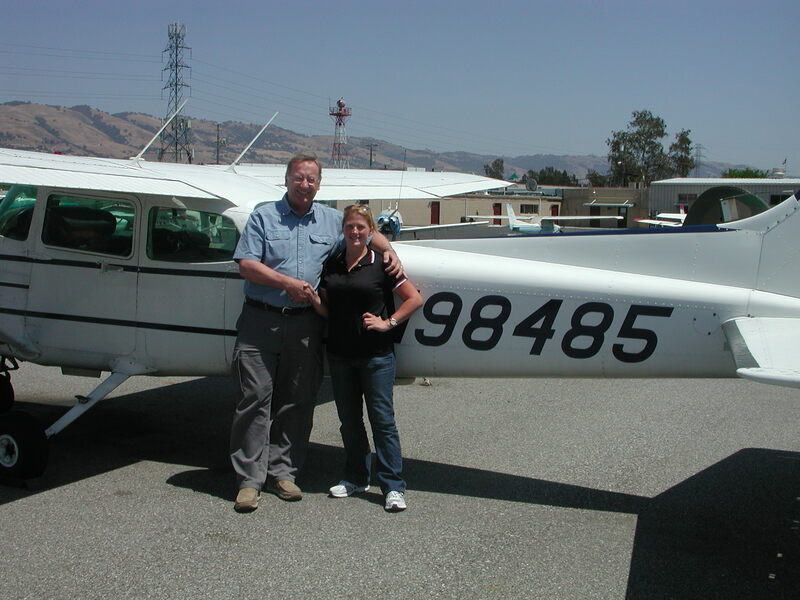 This time he had to fly to Watsonville to meet with the examiner, Sherry Diamond, but there were no problems and he earned glowing praise from her.